Officials with Donald Trump’s transition team tell me Kissinger has spent several hours since the election advising incoming national security adviser Michael Flynn and his team. He’s also putting his network in place. He recommended his former assistant, K.T. McFarland, to be Flynn’s deputy, and urged Trump to nominate Rex Tillerson, the chief executive officer of Exxon Mobil, as his secretary of state. Kissinger is one of the few people in Trump’s orbit who can get him on the phone whenever he wants, according to one transition adviser. That’s just behind the scenes. Consider that Kissinger is also an important validator for Trump in the press. When some Republicans questioned Tillerson’s closeness to Russian President Vladimir Putin, Kissinger defended the pick on “Face the Nation.” Kissinger helped soften the blow of Trump’s phone call with Taiwan’s president in December before the Committee of 100, which advocates for the U.S.-China relationship. Before that, Kissinger winged his way to Oslo to urge his fellow Nobel laureates to give the next president’s foreign policy a chance. It feels like 1975 all over again. I’m half-expecting to read something in the tabloids about a Kissinger affair with a Hollywood starlet. It should be said that almost all recent presidents and secretaries of state at one time or another have consulted Kissinger for advice. But in the Obama years, Kissinger was not that influential. After he coauthored an op-ed critical of the Iran nuclear deal, State Department deputy spokeswoman Marie Harf dismissed it as “big words and big thoughts” with few specifics. It’s nonetheless strange that Kissinger would have Trump’s ear. To start, he is the author of many of the policies Trump is hinting he will undo. It’s not just the “one-China” policy, which forbids official recognition of Taiwan, even though it allows the U.S. to arm the island. Kissinger is also an architect of arms control deals that recent Trump tweets suggest may be in jeopardy. “Kissinger is apparently willing to advise someone who has publicly questioned the essential building blocks of the international system that Kissinger himself helped create,” Tim Naftali, a former executive director of the Richard Nixon Presidential Library and Museum, told me. Then there’s the matter of how Trump won the presidency. Remember his closing argument: “For those who control the levers of power in Washington and for the global special interests, they partner with these people who don’t have your good in mind.” That’s not an unreasonable description of Kissinger’s own consulting firm, which has provided strategic advice to foreign governments and big corporations since 1982. 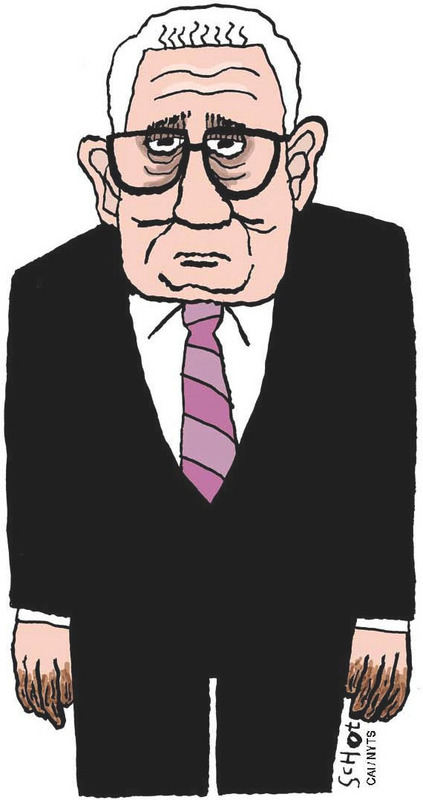 Of course, Kissinger has always contained multitudes. For his supporters, he is the American Metternich, the 19th-century Austrian diplomat and scholar who both shaped and explained the geopolitics of his era. It’s no coincidence that Metternich was a subject of Kissinger’s first book, published in 1957. This is no doubt music to the ears of the Washington and New York foreign policy establishment. For idealists on the left and right, however, Kissinger’s influence on Trump is a red flag. For all of his foreign policy success, Kissinger is also an author of more dubious moments in Cold War history. He helped orchestrate the 1973 coup that toppled Chile’s elected president, Salvador Allende. Kissinger devised the strategy to bomb North Vietnamese Army positions in Cambodia, something he kept from Congress. This history earned Hillary Clinton a rebuke from Bernie Sanders during the Democratic primary, when he questioned the judgment of anyone who would consider Kissinger to be a personal friend. But Kissinger is not just a bete noire for the left. He also clashed with neoconservatives when he was Nixon’s national security adviser. Democratic Sen. Henry “Scoop” Jackson pushed the Nixon administration to adopt sanctions on the Soviet Union tied directly to its treatment of Jewish dissidents. Kissinger famously opposed this policy because it would undermine his own policy to lower tensions with Moscow, known as detente. As Trump prepares to take power, Russia is once again dividing Washington. The Obama administration recently released a report from the FBI and Department of Homeland Security that concluded Russian intelligence services hacked leading Democrats and leaked the information to the press. Trump and his transition team have cast doubt on the intelligence. Delicious. The president-elect who waged a campaign against global elites is turning to a man who knows most of them on a first-name basis. 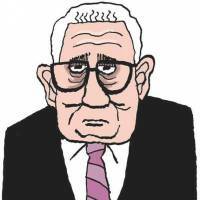 It’s an irony that Kissinger’s former clients likely appreciate. Eli Lake is a Bloomberg View columnist who covers security issues.